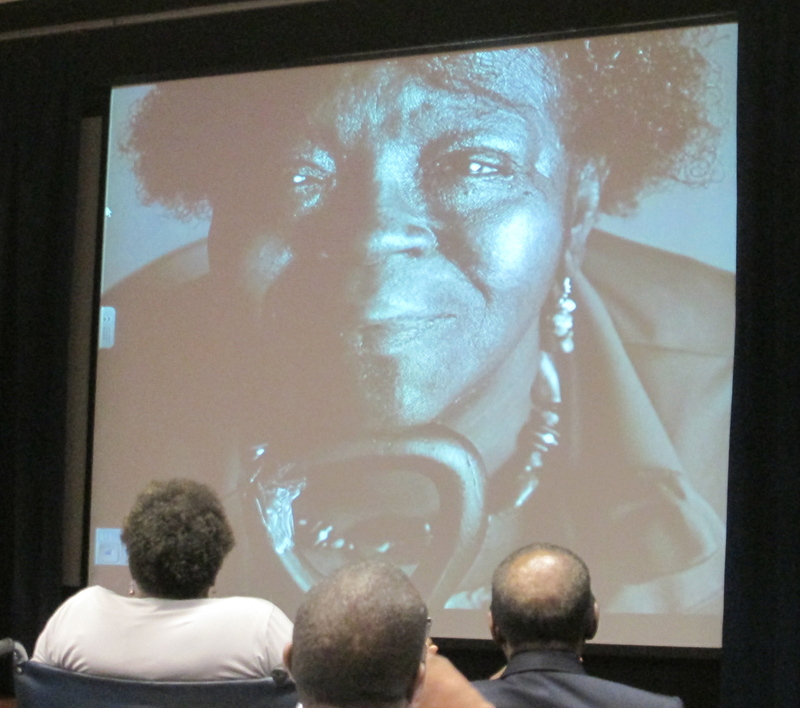 Mary Moultrie gazes up at her own image during the ceremony for the marker unveiling in honor of the 1969 Hospital Workers’ Strike which she led. 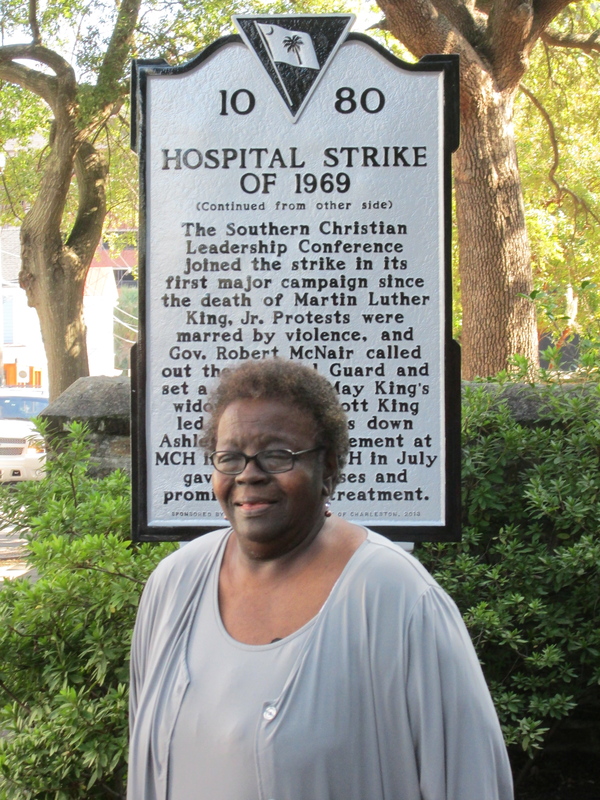 Mary Moultrie was one of the leaders of the Charleston Hospital Workers’ Strike. She led approximately 400 workers off their jobs at what was then the Medical College of South Carolina Hospital and the nearby Charleston Memorial Hospital in 1969. This group which was predominately Black and Gullah/Geechee women were seeking better working conditions and pay. In order to push for this, they stayed on strike for 113 days until an agreement was reached with hospital management. They intended to form a union, but that did not take place within the negotiations. Ms. Moultrie stated “we did not get a bona fide contract. We got a memorandum. The state of South Carolina maintains they cannot bargain collectively with unions. This policy is a hindrance to state and city workers who deserve to be treated fairly,” she said. She made it clear that she continues to be part of the 1199 union to this day. However, MUSC still does not have a union presence which she feels the workers still need. “We marched, we picketed and many of us did whatever we needed to do to make the marches a success. 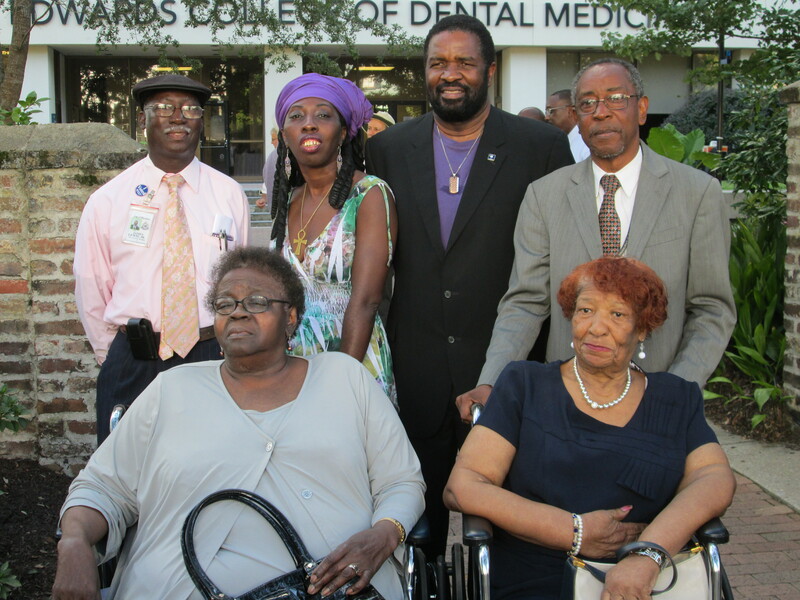 We had nightly rallies and we boycotted businesses,” Ms. Moultrie stated during her speech at the marker unveiling ceremony at the Medical University of South Carolina (MUSC). The marker was the last of five put up this year by the Preservation Society of Charleston as part of their “Seven to Save” series. 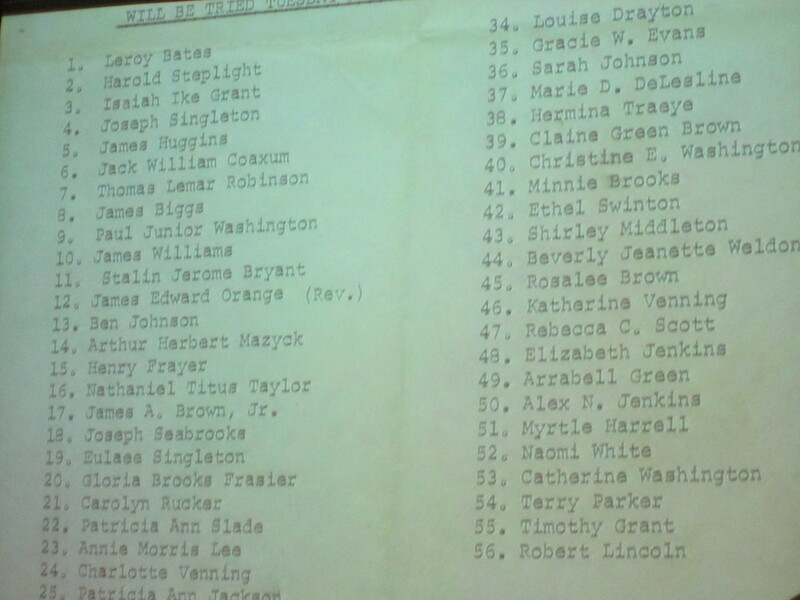 Among the others markers are the downtown store where protesters staged the first lunch counter sit-in and one for the first four schools in the City of Charleston to be desegregated. There is also one on Johns Island in honor of the Progressive Club and their role in the Civil Rights Movement which all of these collectively help tell the story of in Charleston County. Queen Quet, Chieftess of the Gullah/Geechee Nation, Wendell Gaillard of the SC General Assembly, and two of the Charleston Town Councilmen stand proudly as leaders of the day with Ms. Moultrie and marchers that led the movement for equality in the past. Queen Quet and Dr. Najmah Thomas of St. Helena Island, SC as the three Gullah/Geechee women amongst the 20 nationally selected women to receive the inaugural “Living Legacy Award” from the founders of “Black History Month,” ASALH. Ms. Moultrie made history once again as she proudly unveiled the new marker. May the names of those that marched for equality never be forgotten!